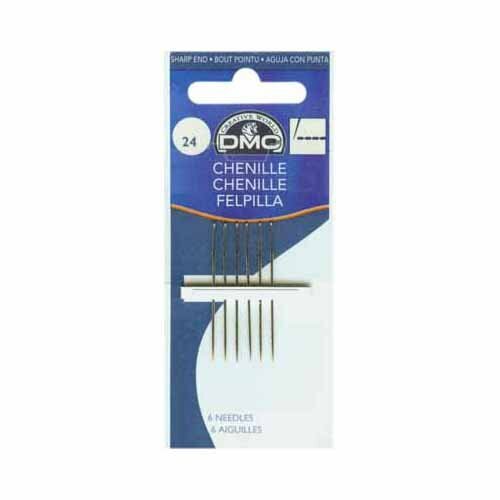 DMC Chenille Needles are 1 1⁄2 ” – 1 3⁄4” long, and made of premium grade nickel plated steel. Chenille needles are sized in the same manner as tapestry needles, but have a sharp point instead of a blunt point. DMC Art. 1768/5.